The Dead Inventory Report tracks inventory you have on hand that has not sold recently. 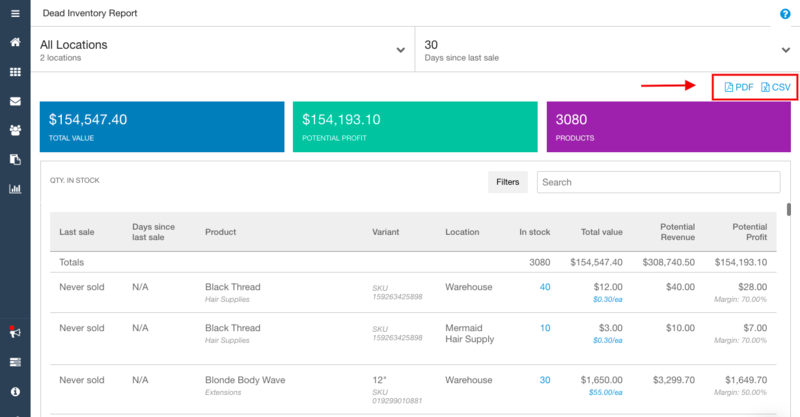 Once you can clearly see what isn't selling, you can make more accurate decisions about clearance products or what not to order again. 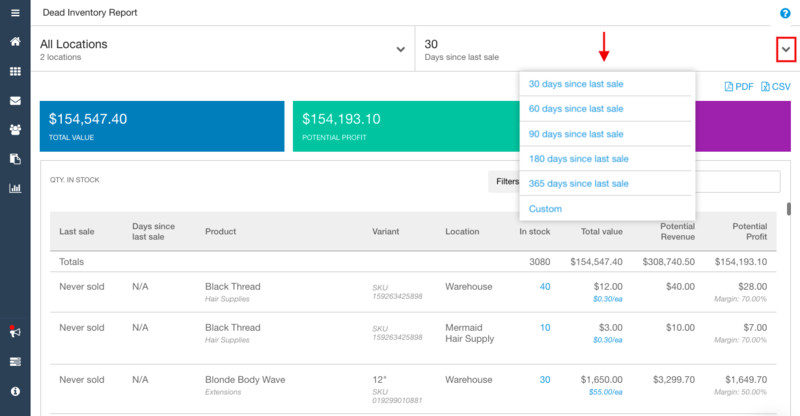 To Access the Dead Inventory Report, simply go to the Reports section of Shopventory and click on the Dead Inventory Report option. There, you can customize the range of the report; what you are saying is, "Please show me all Products that have not sold for __ days or more." You can apply filtering by Category, or use the search box to check specific keywords. You also have the export to CSV or PDF options that you have in the sales reports and inventory reports. Filtering that is active on the page will be applied to the exports.